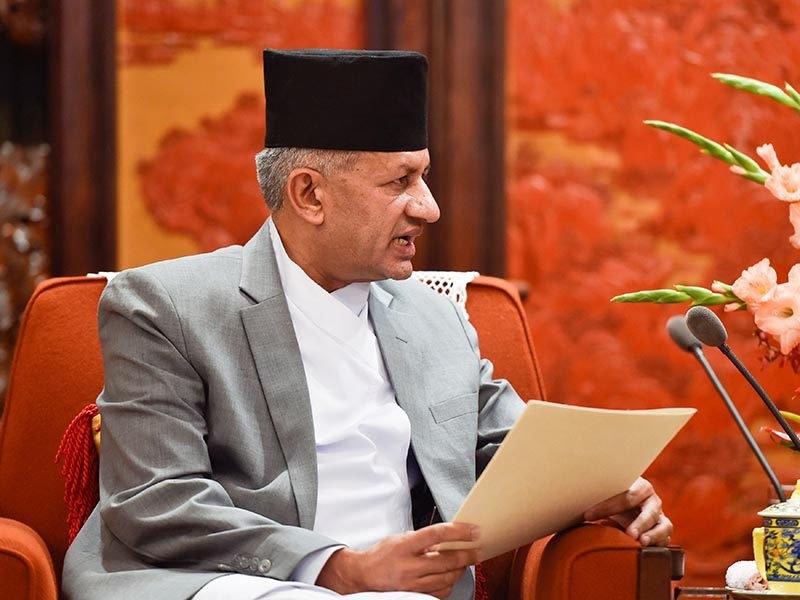 Non-Aligned Movement to be developed as culture of peace: Foreign Minister Gyawali - Integration Through Media ....! Surendra Bahadur Nepali, NEW YORK: Minister for Foreign Affairs Pradeep Kumar Gyawali has stated that the principal of Non- Allinged Movement (NAM) would encourage its member nations towards the culture of peace. Minister Gyawali asserted so in a ministerial meeting of the Least Developed Countries (LDCs) held at the UN Headquarters in New York, the USA, on Wednesday. A press statement issued by the Permanent Mission of Nepal to the UN states that Minister Gyawali also spoke of the need for NAM member-nations to be united and to contribute in peace building of the world impartially. Gyawali, the press statement states, argued that the range of issues such as poverty, inequalities, unemployment, climate change, natural disaster and internal conflict among others had impeded the growth and development of the LDCs. Stating that the LDCs’ path of development was low, long and ambiguous, he urged the international community for their adequate support the internal efforts of the LCDs in their graduation from LDC status to developing countries. Similarly, Minister Gyawali attended a reception organized on the occasion of the Independence Day of Vietnam. He extended his sincere condolences on the recent demise of the Vietnamese President Tran Dai Quang. The Foreign Affairs Minister today itself observed the exhibition put up by China on its contribution to implementation of the sustainable development goals (SDGs), a set of 17 global goals aimed at reducing poverty, tackling climate change and inequalities among others pertinent global issues. The exhibition was organized by the Chinese Minister for Foreign Affairs Wang Yi. Meanwhile, Secretary of the Ministry of Foreign Affairs Shanker Das Bairagi, who is also a member of the Nepali delegation to the ongoing 73rd United Nations General Assembly led by Prime Minister KP Sharma Oli, addressed the ceremony organized to mark the International Day for the Total Elimination of Nuclear Weapons.